By the Chuang collective, reposted from the Verso Books Blog. The selection below comes from our centerpiece article on the socialist era, “Sorghum and Steel: The Socialist Developmental Regime and the Forging of China,” the first in a three part economic history of China. 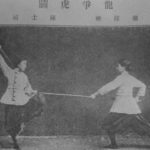 The full first issue of the Chuang journal, including this article, will be released in print and online in the next few weeks. In the late 16th century, one of the earliest long-form accounts of life within “China” was released in Europe. The author was a Portuguese mercenary named Galeote Pereira who had fought on behalf of Ayutthaya against the Burmese in the East Asian mainland’s first early-modern war. Afterwards he became a pirate on the South China Sea, pillaging coastal provinces in the beginning of what would become a centuries-long piracy epidemic facilitated by the growth of the global market. The Ming dynasty responded with its Piracy Extermination Campaign, and Pereira was captured in Fujian and exiled to the interior, only escaping back to Europe years later through bribery and the help of Portuguese merchants in Guangzhou. His account of the experience, edited and published with the help of the Jesuits, was one of the only first-hand reports on “China” available since the time of Marco Polo. But Marco Polo had come from a backwater, provincial Europe to observe the internal operations of the most advanced civilization the world had yet seen in form of the Yuan (Mongol) Dynasty. Pereira, on the other hand, had come from a much-changed Europe and arrived in a much-changed “China,” both of which were sitting on the brink of a great approaching chaos. If there was any point of utter indeterminacy in the birth of the capitalist world, this was it. The die had been cast but had not yet settled. With the largest navy, the most advanced technology, and unprecedented agricultural productivity, the Ming Dynasty remained the most extensive and powerful political structure in the world. In every way it matched and surpassed Europe, and the question of China’s “failed” transition to capitalism (known as “Needham’s Paradox”) would become a sort of initiatory riddle for future scholars of the region. Pereira had arrived in the midst of the Ming’s deterioration, caused in part by the Portuguese and Spanish silver industries and the new trade networks of which he was himself a product. But the most striking feature of Pereira’s report was not its author’s checkered history nor his descriptions of the ornate but effective Ming judicial system. Instead, it was the curious fact that, among all the “Chinese” people he spoke to, none had heard of “China,” nor any of its supposedly native correlates (variants on Zhongguo—the “middle” or “central” country or countries). Pereira himself travelled exclusively in what is today Southern China, traversing Fujian, Guangdong, Guangxi and Guizhou provinces. 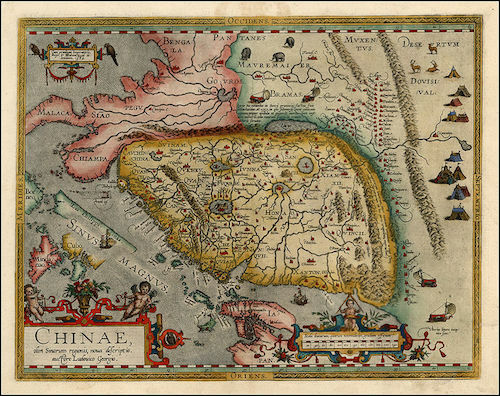 These regions were host to a myriad of local “dialects,” most as mutually incommunicable as European “languages” are from one another, often centered on local place ties and the trade networks that connected coastal regions to Southeast Asia. Nor were these provinces settled by the “Han” ethnicity exclusively—and even the existence of such a category has recently been called into question. Instead, the region had been home to the Hui, Baiyue, She, Miao-Yao, Zhuang and numerous other ethno-linguistic groups. Today, in a crisis-stricken global economy, China is again defined by its exceptions. Its staggering ascent seems to promise an almost messianic escape from decades of declining growth: the mirage of a new America, complete with a “Chinese Dream” and the moral zeal of its Puritanical CCP-Confucianism. For the Western economist, this takes the form of a steady-handed Sino-Keynesianism, as new infrastructure projects are initiated by more charitable global financial institutions such as the China Development Bank, promising the salvation of the world’s final far-flung hinterlands. In the official discourse of the Chinese state, this represents nothing more than the slow transition to communism, with a long layover in the stage of “socialism with Chinese characteristics,” wherein capitalist mechanisms are used to develop the productive forces until general wealth is possible. In both narratives, China remains an obscure, somewhat ominous exception, despite its complete incorporation into the global economy. Somehow it seems exempt from the rules, with a vague intuition that, with such a large population, such a powerful government, such a massive concentration of fixed capital, etc., the Chinese thereby hold some sort of deus ex machina for the drama of our current global economic decline. The problem in this reading is the same as that confronted by Pereira centuries ago: the very object of inquiry proves illusory. The mercenary enters the heart of the empire only to discover that the empire does not exist. One of our primary aims in Chuang is to disperse this mirage. We hope to view China with clarity and communist intent. But the only way to understand contemporary China and its contradictions is to begin with an inquiry into the creation of “China” as such. Here, our story does not begin in a supposedly ancient history (as both Western and Chinese historians would so firmly have us believe), nor does it begin with the romance of the Chinese revolutionary project, alternately glorified and demonized by those on the left. “China” is, and always has been, an economic category. The Occidental mirage of the “Far East” arose to designate the stubborn persistence of various non-capitalist modes of production on the East Asian mainland. After the “opening” of China demonstrated the Qing empire’s fundamental incoherence, late-imperial nationalists, often educated in the West, picked through the region’s history to construct a narrative of a coherent Chinese nation-state stretching back to ancient times. This project was soon continued by liberals, anarchists and communists alike. Since this indigenous narrative of “China” arose in the midst of a crippled empire, ruled in law by one “foreign” force (the Manchus) and in fact by another (the West), one of the key characteristics of the newly-imagined “Chinese” nation was its foundation in a suppressed Han culture and ethnic identity. Opposition to the Qing first took on the character of a restoration of Han rule, and newly-formed resistance organizations such as secret societies were perceived as partisans of this lost national essence, their slogan: Fan Qing Fu Ming—Oppose the Qing, Restore the Ming. But what was the “Ming” these early nationalists sought to restore? In one sense, this demand harkened back to that fundamental indeterminacy—when the die of history was still flying through the air and it seemed that the Great Ming, rather than Western Europe, could have given birth to capitalism in all its blood and glory. At the same time, “Restore the Ming” was a sort of promise. It meant development along Western lines, the creation of “China” as an entity comparable to (and on equal footing with) those Western nations that had divided the region into a mesh of trade agreements and treaty ports. It was this promise that would come to fruition in the 20th century. The story we tell in the first issue of our journal explains the century-long creation of China as an economic entity. Unlike the nationalists, we do not hope to uncover any secret lineage of culture, language or ethnicity in order to explain the unique character of today’s China. Unlike many leftists, we also do not seek to trace out the “red thread” in history, discovering where the socialist project “went wrong” and what could have been done to achieve communism in some alternate universe. Instead, we aim to inquire into the past in order to understand our present moment. What does the current slowdown in Chinese growth bode for the global economy? 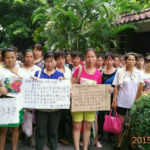 What hope, if any, do contemporary struggles in China hold for any future communist project? Our long-term goal is to answer these questions—to compose a coherent communist perspective on China not muddied by the romance of dead revolutions or the hysteria of rapid growth rates. In the centerpiece article of our first journal issue, “Sorghum and Steel: The Socialist Developmental Regime and the Forging of China,” we offer the first in a three-part history of the emergence of China out of the global imperatives of capitalist accumulation. In this issue we cover the explicitly non-capitalist portion of this history, the socialist era and its immediate precursors, which saw the development of the first modern industrial infrastructure on the East Asian mainland. 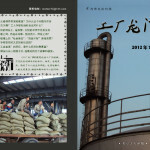 The second section, to be published in the next issue of Chuang, will cover the “Reform and Opening” initiated in the late 1970s, ending with the destruction of the “iron rice bowl” during the deindustrialization wave of the 1990s. The final section, to be published in the third issue, will cover the period following this deindustrialization and continuing today, including the capitalist transformation of agriculture and the creation of China’s contemporary proletariat. This periodization is not arbitrary. We segment this history according to both the global periodization laid out by the Anglophone communist collective Endnotes and according to key shifts in the degree of incorporation of the region into global accumulation imperatives. 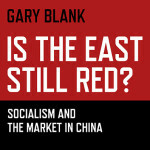 This first section covers the non-capitalist period, in which the popular movement led by the Chinese Communist Party (CCP) succeeded in both destroying the old regime and halting the transition to capitalism, leaving the region stuck in an inconsistent stasis understood at the time to be “socialism.” The socialist system, which refer to as a “developmental regime,” was neither a mode of production nor a “transitional stage” between capitalism and communism, nor even between the tributary mode of production and capitalism. Since it was not a mode of production, it was also not a form of “state capitalism,” in which capitalist imperatives were pursued under the guise of the state, with the capitalist class simply replaced in form but not function by the hierarchy of government bureaucrats. Instead, the socialist developmental regime designates the breakdown of any mode of production and the disappearance of the abstract mechanisms (whether tributary, filial, or marketized) that govern modes of production as such. Under these conditions, only strong state-led strategies of development were capable of driving development of the productive forces. The bureaucracy grew because the bourgeoisie couldn’t. Given China’s poverty and position relative to the long arc of capitalist expansion, only the “big push” industrialization programs of a strong state, paired with resilient local configurations of power, were capable of successfully constructing an industrial system. But the construction of an industrial system is not the same as the successful transition to a new mode of production. This industrial system was not immediately or “naturally” capitalist. History is fundamentally contingent. In the socialist era, markets did not exist as they had previously (under the imperial system) nor as they would in the future (under capitalism). Money existed nominally, but it was not guided by either the mercantile imperatives of the tributary mode of production nor the value imperatives of the capitalist system—instead, it was the mere mechanical reflection of state planning, which was not calculated according to prices but according to sheer quantities of industrial product. Money could not function as the universal equivalent. Meanwhile, rents were extracted in the countryside in the form of grain via the “price scissors,” but this extraction did not mirror that of the imperial taxation system, nor did it result in the dispossession of the peasantry and the privatization of agricultural land. Maybe most importantly, the peasantry was fixed in place more firmly than at any other period in Chinese history. The rural-urban divide that took shape in these years would become a fundamental feature of the developmental regime. There was no substantial urbanization under socialism, aside from that caused by immediate post-war reconstruction and natural increase, and the demographic transition (in which rural agricultural population is supplanted by urban workers in industry and services) failed to occur. Meanwhile, there was no evidence of any transition toward communism, which remained a merely ideological horizon. The workforce expanded, working hours tended to increase, and the socialization of production created autarkic and atomized local productive units, delivering collective living in the small scale but failing to create the new communal society that had been promised. Freedom of movement decreased as crises proliferated, two distinct elite classes formed, the rural-urban divide widened, and a class of dispossessed laborers began to take shape in the final decades of the period. Strikes and other forms of unrest proliferated, culminating in the “short” Cultural Revolution of 1966-1969, the suppression of which would ultimately lead to a full-on capitalist transition. Throughout the revolutionary period and into the late 1950s, we refer to this process as a “communist project.” This project was incredibly diverse throughout its existence, and it was always defined by its status as a mass movement with deep roots in the populace. Early on, its theoretical foundation and strategic direction was predominantly that of anarchist communists. Over time, the particular vision and strategy of the CCP would gain hegemony—but this also meant that the CCP itself absorbed some of the movement’s heterogeneity, which would take on the form of factions (and purges) within the Party itself. This hegemony wasn’t imposed upon the project, however. It was the result of a popular mandate given to the CCP, which had been integral to the formation of a successful peasant army and underground workers’ movement during the Japanese occupation. The CCP maintained its hegemony of the communist project in the early postwar years by heading popular redistribution campaigns in the countryside and reconstructing the cities. 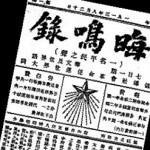 With the failures of the late 1950s (famine in the country and strikes in the coastal cities), not only was the CCP’s popular mandate called into question, but the communist project itself began to ossify. As popular participation evaporated in response to these failures, what had been a mass communist project was reduced to its means: the developmental regime. This regime itself could only be maintained by the increasingly extensive intervention of the Party, which both fused it with the state (as a de facto bureaucratic administrative apparatus) and severed its coupling with the communist project. Even at the height of its diversity, this project was ultimately defined by a particular communist horizon that had emerged from the combination of the European workers’ movement and the region’s own history of millenarian peasant revolts. Today, this communist horizon no longer exists. There is no point in “taking sides” on these historical matters, simply because there is no symmetry between then and now—the material conditions (rapid industrial expansion, large non-capitalist periphery, etc.) that structured this earlier communist horizon are absent, even if the fundamental crises of capitalism remain. There is no question of whether communists today will face the same problems—they won’t. Instead, there remains only the question of how communism and communist strategy can be conceived without this horizon. To today’s communists, among whom we are included, the practice, strategy and theory of the CCP (as well as others within this historic communist current) seem at best alien and, at worst, abhorrent. Despite the harsh material limits of the time, we can say clearly that many actions of the CCP are simply unjustifiable. Others are arcane or incomprehensibly over-confident. But these sort of value judgments have little analytic function. Numerous accounts have already been written on the era describing it in terms of “false” communists betraying “true” ones, or simply as the product of zealous and greedy leaders. The history we review is not a history of morals. For our materialist approach, questions of betrayal or rectitude have only the most miniscule relevance. The Chinese communist project was a collective phenomenon, created by the effort and support of millions. We attempt to write a history of this collective project and its ultimate demise. To these ends, our goal is also to explain the Chinese socialist era, rather than addressing questions of 20th century socialism in general. Comparative studies of different revolutionary projects would certainly be worthwhile, but such studies require fair units of comparison. Today, the literature on China and other socialist states tends to be strongly shaped by the Russian experience. One of our fundamental theses is simply that China is not Russia. Though influenced by the Russian experience, the Chinese attempts to emulate it were never complete, and were nonetheless being applied in a fundamentally different context. More importantly, the Russian reference point was itself constantly moving, and the Chinese often drew from divergent periods in Russian history when designing their own forms of enterprise management and industrial planning. Beyond this, the geography of Russian influence was uneven. Outside the northeastern industrial heartland, Chinese production was more strongly shaped by other systems of enterprise management, economic planning and state administration. If the Chinese took Russia as one model, they also inherited numerous others—from the imperial era, the Nationalist regime of the Republican period, the Japanese, and the Western enterprises in coastal cities. All of these influences were combined in conscious attempts to create a distinctly “Chinese” nation, complete with a unified national economy. The result was a far more decentralized, uneven system than is visible in the era’s propaganda. Another of our fundamental theses is that there was a stark difference between what socialist China said and what it did. Too much of the current literature (both academic and that produced by the left) uses untrustworthy data drawn from shaky sources. 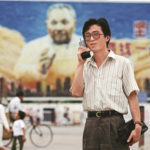 It is founded on outdated evidence gathered in a time when there were political gains or losses at stake in one’s “line” on things like the Cultural Revolution. The basic methods used in such literature are idealist. Propaganda is examined as if it were matter-of-fact description of the industrial system. Model factories are described as if they mirror the real thing. The mythos of Chinese socialism is expected to match up, one-for-one, with the actual composition of Chinese society. China again becomes a sort of mirage, this time reformatted for the new coordinates of the Cold War. The result is a Potemkin Village version of socialist China, by one side vilified and by the other held up as one of the only flickering lights in the darkness of a century lost. Today, we have no money riding on either. The only stakes we see are those posed by our present moment: a China that is central to the global economy but also stricken by its crises, its growth slowing, its population torn between an absent future and an unreachable past. If these are the real stakes, then they merit an historical analysis worthy of them. Our goal is to use the most concrete and reliable measures available in order to narrate a materialist history of China. The socialist mythology represented in propaganda, popular ceremony and everyday custom is not ignored but instead relegated to its actual significance: that of an ideological project ultimately taking on the resilience of a religion, capable of expressing certain hopes, fears and social truths, but incapable of describing the actually-existing economy. Our focus is on hard numbers, newly unclassified evidence, and an array of more reliable ethnographies and archival research projects. The result, we hope, is a picture of socialist China as it actually was, neither a totalitarian wasteland nor the kingdom of heaven. The nation we illustrate in “Sorghum and Steel” was not “Mao’s China” in any meaning of the phrase. It was a project constructed by millions of people, and its ultimate (though not historically determined) result is the China we see today—a China that holds the global economy together at its disintegrating roots. A China that, we hope, will also finally be undone by more millions of Chinese people, alongside billions of others destroying their thousand nations and, with them, this monstrous economy that yokes each to all and all to none. See Pereira’s original report, included here: Charles Ralph Boxer; Pereira, Galeote; Cruz, Gaspar da; Rada, Martín de (1953), South China in the sixteenth century: being the narratives of Galeote Pereira, Fr. Gaspar da Cruz, O.P. [and] Fr. Martín de Rada, O.E.S.A. (1550-1575), Issue 106 of Works issued by the Hakluyt Society, Printed for the Hakluyt Society. For an overview of this tendency in leftist history, see: Endnotes 4, Unity in Separation, October 2015, Bell & Bain, Glasgow, pp. 73-75. See “A History of Separation” in Issue 4, cited above.